"I first met Ed at a metaphysical event. I was doing angel card readings and doing healings, and he was walking around visiting his metaphysical friends and doing impromptu readings for almost everyone he came in contact with. He and his friend came over to my table and he proceeded to begin telling me about my aura and some of my past lives. He told my friend, who was sitting next to me, that he liked her St. Francis of Assisi statue that she kept in her kitchen and went on to describe it. She turned and looked at me and was speechless. 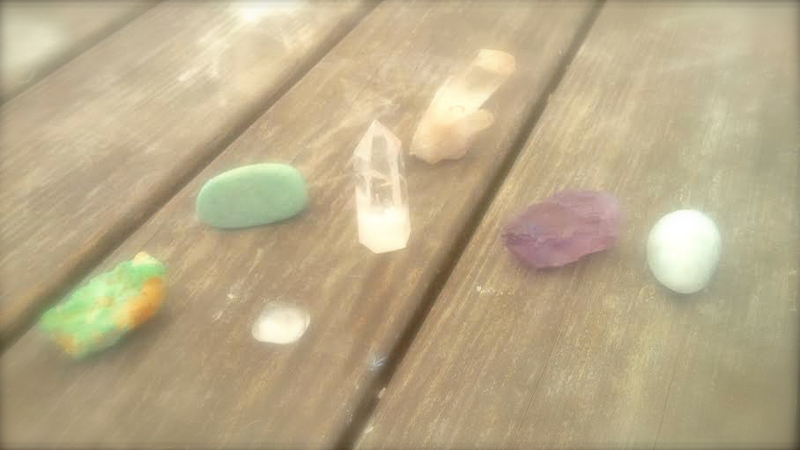 re-discovering our past lives together, and pursuing our mutual interests in visiting historic sites, collecting rocks and crystals, and photographing fairies. Over time, I have discovered that I have more in common with Ed than with anyone I have ever known. We also, on almost the exact same day, were told that I was to help him write a book about his life. We all have a story to tell — an evolving story of our lives — the lessons we have learned, the loves we have found and lost, the paths we chose, the legacy we will leave behind when we have moved on, and the many lives we have touched and influenced. To look at Ed and to hear him speak can be both, off putting and magical at the same time. He has a small frame, speaks fast and has a tone to his voice that makes him both look like and speak as if he were truly a living leprechaun, gnome, or wise Yoda. People don’t know what to think when he randomly walks up to them and tells them that he likes their aura or that they once had a life in Egypt. The usually smile, keep walking and think that guy is crazy. What they don’t realize is that this person who just invaded their space, is one of the most remarkably gifted intuitives they will ever meet. So this is his story, the story of how he discovered and uses his remarkable gifts to work with his client’s angels, spirit guides, and fairies to heal their bodies, lift their spirits and comfort their minds about the past, the present, and future. This is the story of the Seer. This is the story of my friend, Ed Simon." "Ed is a truly gifted guide. He has been given the ability to sense the presence of angels and guides from the spirit world and channel messages from them.‎ He can sense energies around you and give guidance regarding your decisions, and is also gifted in sensing portals in a house, energies contained in crys‎tals and the presence of other worldly beings like fairies and leprechans. He has helped me to feel validated and confident in my decisions regarding relationships and often surprised me with guidance I wasn't expecting that was accurate! Above all, I feel Ed's most endearing quality is how he genuinely cares about helping people." "Ed is a talented medium and was able to connect me with my grandparents and uncles that had passed over. He provided clear signs so that I would know it was them connecting with me. It is so comforting to know that my family members are still so close even though they have died. Thank you Ed so much for that, and all of the help that you have provided me on my spiritual journey." "Ed and I got to know each other a few years ago in a meditation group. At first I didn’t know what to make of him. When you speak to him his psychic information comes in quick snapshots, or sometimes slowly morphs into focus while you are in conversation with him. It seems sometimes outrageous, unbelievable that he could know what he knows! This small in stature, at times funny man holds many surprises. Over the last few years my friendship with him has deepened and I’ve come to see the warm, truly elevated soul that he really is. His strongest, most heartfelt desire is to help guide you with his intuitive sights, comfort and inform you as to how to make the wise decisions for your life that ultimately put your mind at ease. Ed’s abilities have expanded and grown enormously in the time I’ve known him, to include naming the beloved relatives and pets who are sitting right next to you. (During a recent lunch my friend was stunned when Ed informed her, and named her long dead father and beloved dog who were sitting at the table with us!) Ed can provide insight into events and people in your past, sometimes illuminating situations that previously seemed impossible to understand. Yet in the present he can calmly clarify the past. His psychic gifts have enabled him to provide tremendous insight into some difficult personalities at my job, and the best strategies to use with them. He is both an exceptional psychic and a healer, as I have also felt a deep, peaceful energy and joy, when he has sent me healing energy during some difficult periods. Ed Simon is an extremely gifted, loving psychic and healer who wants to be of genuine service to his clients in any way he is able. His gifts are a blessing to his clients and himself; he will tell you he wakes up with joy every day, and has lost the ability to worry. As my friend I consider Ed a gift in my life, and one of my spiritual teachers."